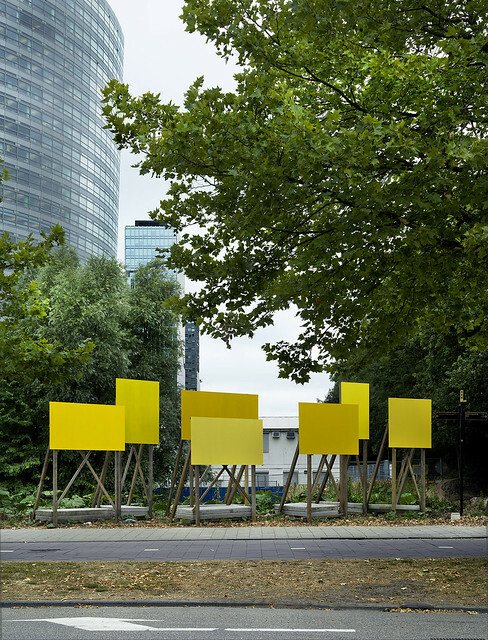 Demo is an installation plus a series of performances in public space at Zuidas, the business district of Amsterdam, taking place from July 2018 until the present. The performance exists of repainting the installation. The first act was done by myself, being a town crier, positively alarming with a bright yellow colour scheme. 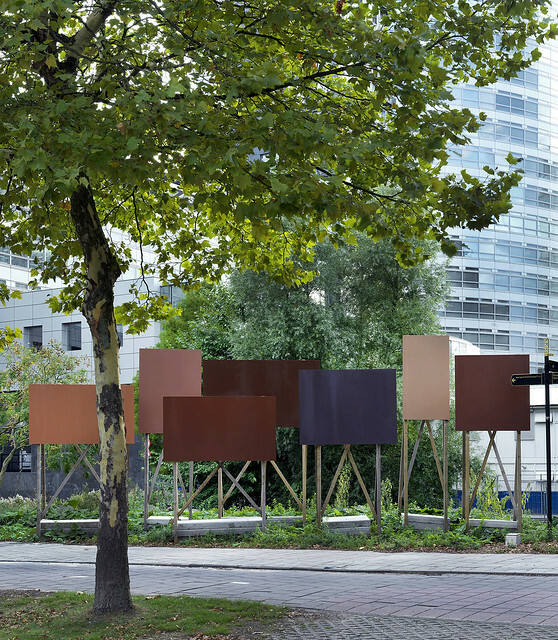 The second performance was a collaboration with Amsterdam Black Women collective, who claimed place for themselves in the image of the city by giving the boards the colours various black skin colours. 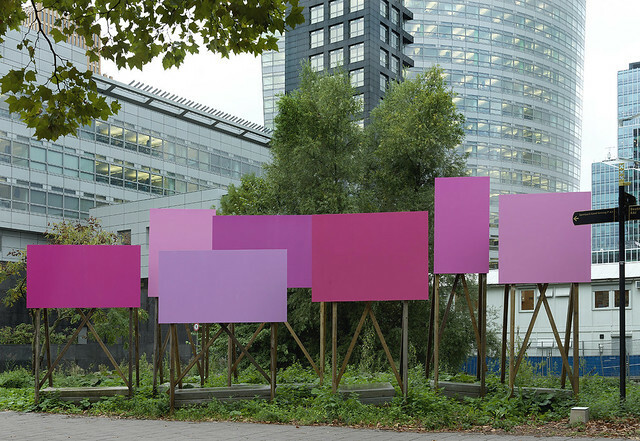 For the third colour scheme, I challenged male employers who pass by the installation every day during their lunch break walks, to give me a hand with painting it pink. The fourth colour scheme captures the sculptural quality of the Zuidas architecture. Local residents, involved in painting the boards shades of blue and grey, are positioned as agents of change in the rapid transformation of the district.